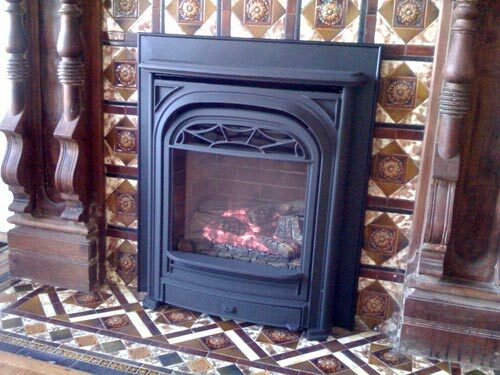 Like many of the old houses I come across here in San Francisco, the fireplaces are non functional. This is due to a number of reasons. 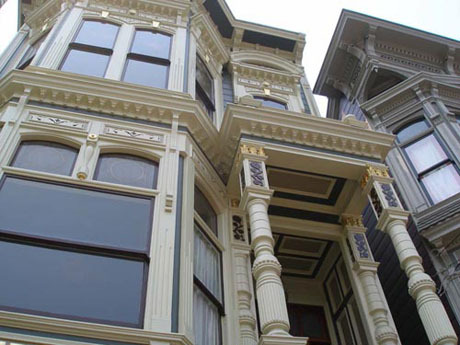 Lack of upkeep which leads to safety issues, bad landlords or past owners, or disinterest in dealing with San Francisco’s Spare the Air days. For those of you not in the know, if you have a wood burning fireplace and you use it during a Spare the Air day, you can get fined. This means you must turn on the news or go online to find if you can use your fireplace. 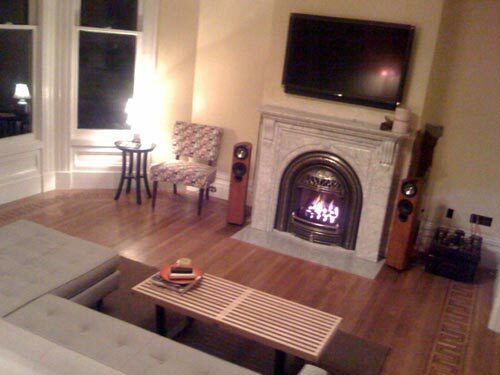 Anyway, when we moved into our place all three of the fireplaces were not working. We are still unsure of how original they are but when I find out I’ll provide updates. What I do know is that there was only one original fireplace as there is only one real brick chimney. At the time it burned coal. The other two, the top parlor and bottom parlor, were just framed in “bump outs” with vents in them. The strange thing is, the bottom parlor only had a vent and no gas line at all, but the top parlor had both. 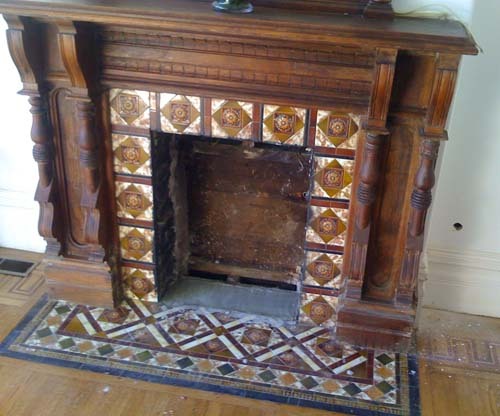 The two wood mantle and tile fireplaces we are keeping as they are very old and are very fitting of the time period regardless of their originality to the house. Those are in the front parlor and guest room, which was at one point the dining room? The white one you see is a craftsman style brick that resides in the top parlor. That’s the one we demolished and are having replaced with a Carrera marble mantle and gas insert. They should be completed in the next few weeks and I’ll update as that happens. This is not a job for faint of heart which is why we opted for this job to be done by the professionals. One might think to themselves, “hey I can sand, why not do them myself?”. Wrong! If you’re refinishing one small room, maybe. Even then, it will take you at least a weekend with some trial and error not to mention tool rentals and back breaking work. This is not something you want to attempt with a Craftsman belt sander and a few friends. Do what we did and hire an expert. In this case, we called Jesus Estrada, owner and operator of Architectural Floors. Him and his crew were in an out in less than a week and thats doing over 2,000 square feet! They paid close attention to all the little nuances of our 120 year old floors. Our floors are not tongue and grove but flat white oak nailed right to the subfloor. Also, each room has decorative inlay, some are very intricate and some are simple bands of cherry around the room. In any case, Jesus and his crew reset every single nail in the entire house, sanded all the floors down, completely puttied them, and sanded again. Then, and only then could they put on a coat of chestnut stain and three coats of varnish. This was no small job and we are quite happy with the results. See more photos of the floors here.